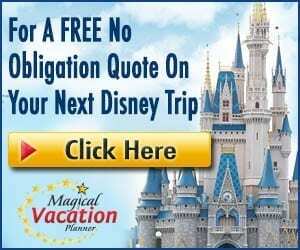 Even though Animal Kingdom has always been the largest of the four Disney World theme parks, we personally feel like we can tackle all our must-dos within one day’s time… or at least that’s what we USED TO SAY! Those days are long gone! Animal Kingdom has grown in size and entertainment leaving us struggling to keep up in one day. So, we are excited to share that we feel Animal Kingdom has moved from a one-day park to an easy two-day park, if not more. Here are seven reasons to spend two days at Animal Kingdom to get in all the “must-dos”! Animal Kingdom is now on a tiered FastPass+ system, much like Epcot and Hollywood Studios. This means that when selecting your three initial FastPass+ in advance, you can choose one FastPass+ selection from tier 1 and two FastPass+ selections from tier 2. 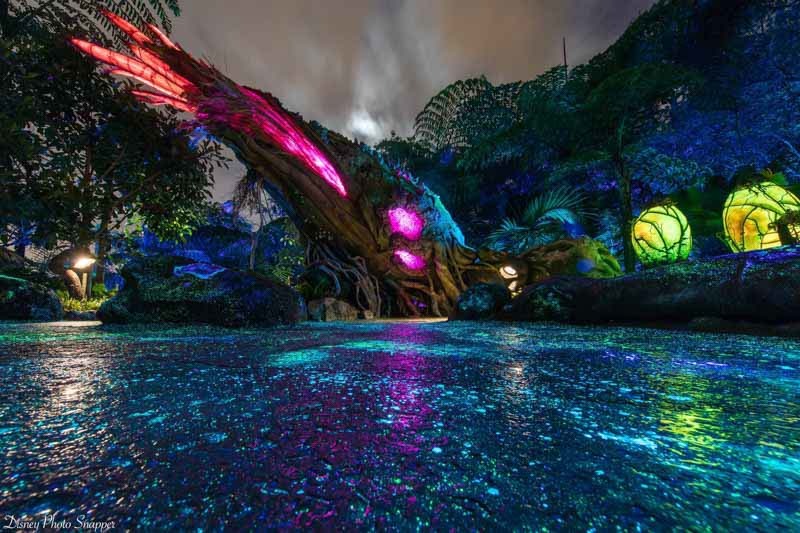 Tier 1 attractions include Avatar Flight of Passage or Na’vi River Journey – the two new Pandora attractions. 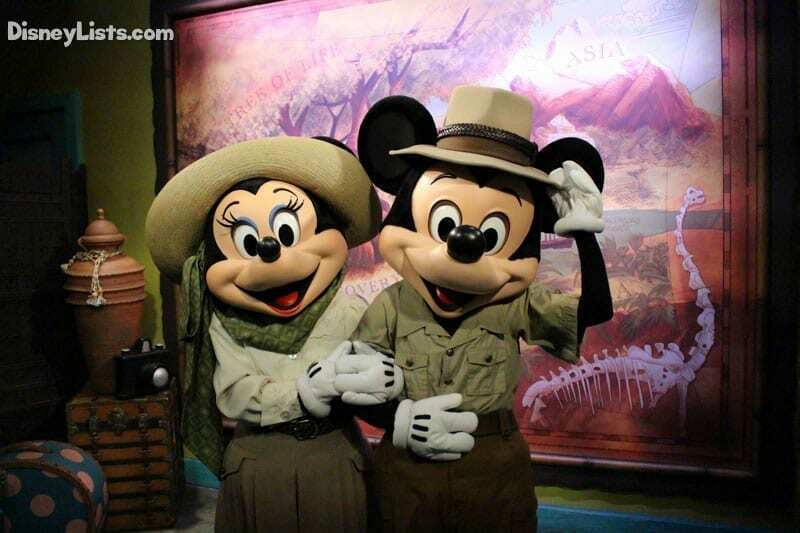 Tier 2 attractions include DINOSAUR, Expedition Everest, Festival of the Lion King, Finding Nemo – The Musical, It’s Tough to be a Bug, Kali River Rapids, Kilimanjaro Safaris, Disney Pals at Adventurers Outpost, Primeval Whirl, and Rivers of Light. This means that regardless of how you swing it, during your initial three FastPass+ selections, you must select between the two most popular attractions – Avatar Flight of Passage or Na’vi River Journey. These two tier one attractions are popular for good reason, as we too highly recommend riding both. Unfortunately, the standby lines are extremely long… and we mean LONG-anywhere from 2 to 4 hours long. The best part about spending two days at Animal Kingdom is that you can FastPass both of these attractions, just on different days. Sure, Animal Kingdom can’t have fireworks due to the animals, but that doesn’t stop them from kicking the nighttime entertainment into high gear. Rivers of Light, Tree of Life Awakenings, Discovery Island Carnivale, and Pandora – World of Avatar at night is a whole new world. 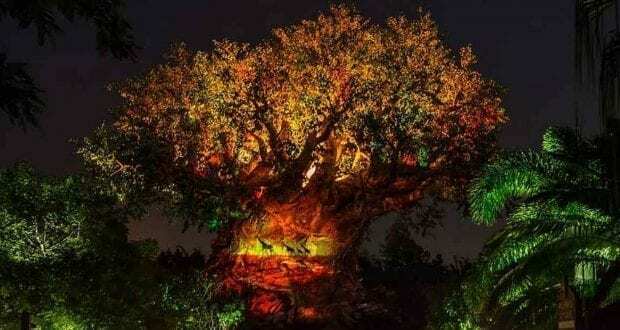 Experience Animal Kingdom at night with the glowing paths of Pandora, the dancing of fireflies on the Tree of Life, and the gorgeous music during Rivers of Light. When the sunsets Animal Kingdom comes to life! Plus, let’s not forget about all the daily entertainment that could easily fill a day at Animal Kingdom if you wanted it to! You may know about the must-do Broadway-style shows: Festival of the Lion King and Finding Nemo – The Musical. No matter how many times we’ve seen these shows, we still want to watch them when we visit! Outside of these popular shows, guests often pass some of the not so well-known entertainment. Flights of Wonder, Harambe Wildlife Parti, Viva Gaia Street Band, and Tam Tam Drummers of Harambe are just a few we highly recommend. Spread out this entertainment among your favorite attractions over two days to get the most out of your Animal Kingdom experience. Photo Credit: Disney Photo Snapper. See more great photos at disneyphotosnapper.com. 3 – Finally Time to Explore! 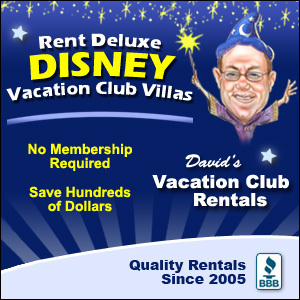 When we focus in on our “must-do” list, the attractions tend to take center stage. Unfortunately, scheduling time to just explore Animal Kingdom doesn’t make it into our packed-out day. We love that with two days at Animal Kingdom, we can really stop and enjoy the beauty the Disney Imagineers worked hard to provide. Stop and examine the Tree of Life on Discovery Island Trails. Check out the gorillas on Gorilla Falls Exploration Trail. Take in the sights on the Maharajah Jungle Trek. From Oasis Exhibits to an awesome Conservation Station, exploring at Animal Kingdom may actually make it into your plans now that you have two days to schedule! To put it plainly, there is just too much goodness to eat and drink in one day! From food kiosks, to lounges, to table service dining – we can’t get enough of what Animal Kingdom dishes out. By spending two days at Animal Kingdom, you’ll have the opportunity to enjoy highly sought-after table service restaurants such as Tiffins, Tusker House, and Yak and Yeti. Awesome quick service options are spread perfectly throughout the park, making a quick meal easy. Check out the newest quick service spot known as Satu’li Canteen in Pandora or go with the classic but delicious Flame Tree Barbecue. Numerous kiosks are probably our favorite places at Animal Kingdom to grab a quick bite and be on our way, especially as the cuisine changes when entering different parts of the park. And finally, Animal Kingdom has stepped up their lounge atmosphere with the latest Pongu Pongo in Pandora. We also recommend the Nomad Lounge next to Tiffins. So much to enjoy… why not spread out the deliciousness to two days?! We’ll be honest, we aren’t huge shoppers. This means that if time doesn’t allow for it, we might check out a store as we walk by via the windows! Double our time in the park however, and in we’ll go! We love Animal Kingdom’s shops as they have some of the most unique souviners you’ll find out of all the parks. Connect with the Banshee at Windtraders, snag some sweet treats for later at Zuri’s Sweets Shop, pick up an Animal Kingdom themed Mickey Hat at The Outpost Shop, and find your favorite dinosaur to take home at The Dino Institute Shop. No longer the days of rushing by and window shopping! Head inside and see what memories you can bring home. We aren’t just talking about the incredible animals you’ll find on Kilimanjaro Safaris! Animal Kingdom is loaded with characters – some unique to this park only. Meet Baloo, King Louie, Mickey and Minnie (in their wilderness gear), Flik, Pocahontas, Rafiki, Russell, Tarzan, Donald, Pluto, and Goofy. Doc McStuffins has even joined this wild character crew. Check the Times Guides as some of these characters aren’t out for meet and greets as often as others. With two days in the parks, you don’t need to worry so much about spending time in line to give these Animal Kingdom friends a hug! Yes, we think the new Pandora attractions rock! But, that doesn’t mean we don’t want to conquer the Yeti on Expedition Everest. By spreading out your plans over two days, you might just be able to ride some of the Animal Kingdom “classics” twice if not more. We would be more than happy to ride Expedition Everest, Kilimanjaro Safaris, Dinosaur, Kali River Rapids, and even Primeval Whirl as many times as possible! What’s your two-day game plan for Animal Kingdom? However you swing it, we hope it’s one wild and unforgettable experience!